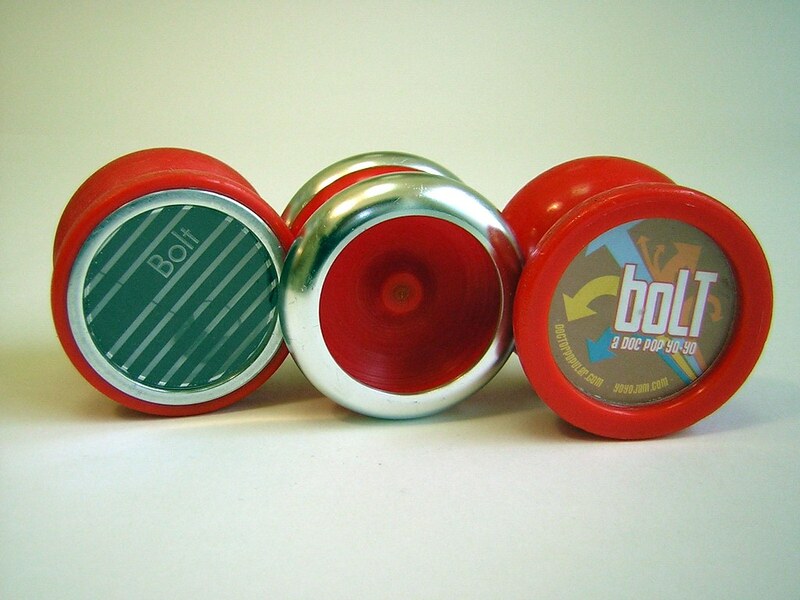 The Bolt yo-yo is a fun yo-yo to mod. 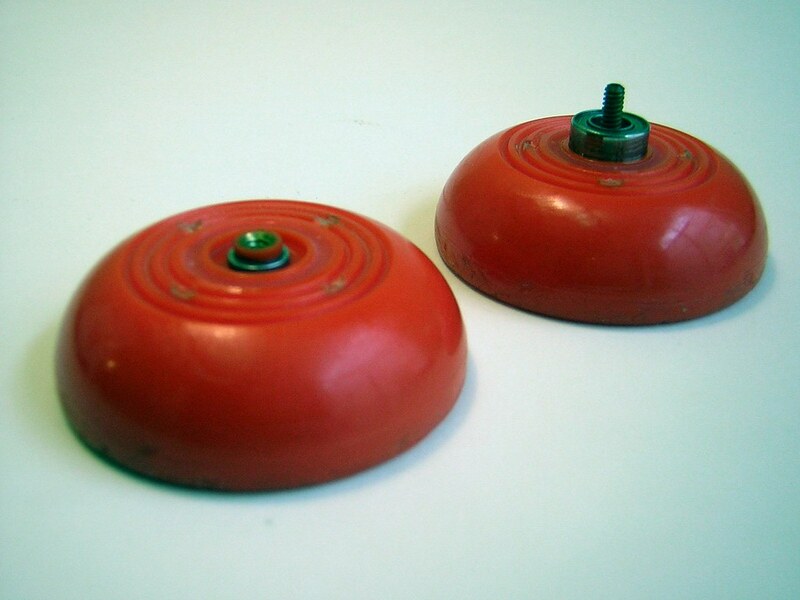 Whether it’s a basicsilicone mod or work on the lathe, Bolts are a cheap base for mods. In the picture above I have three of my favorite mods. On the left is Dave Poyzer’s modified Bolt. It’s made with weight rings from a Yomega Hyper Warp Wing. The pogs are clear with printing on them and a second layer underneath the clear pogs with more printing. 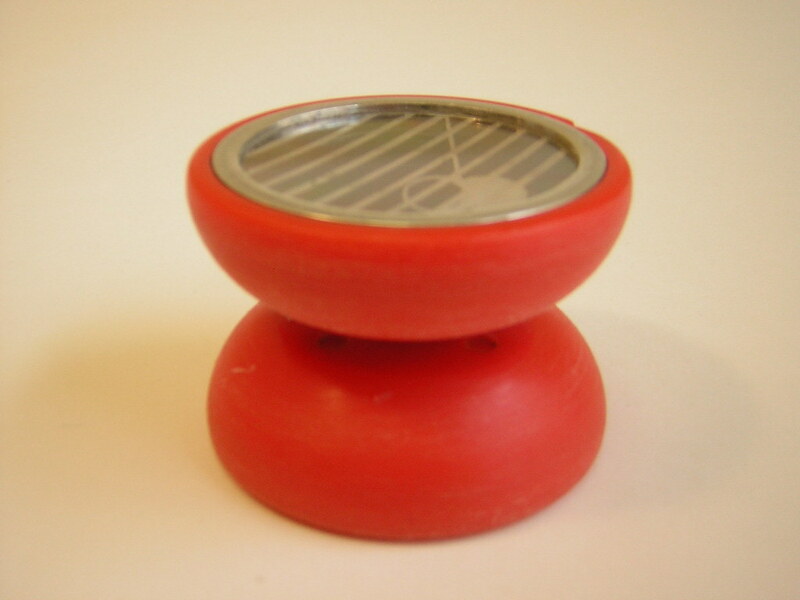 This yo-yo placed third at the modding contest at the World Yo-Yo Contest. In the middle is another of Poyzer’s fine creations. This Bolt has been lathed to fit weight rings chopped off of the Zombie by Small Minds. 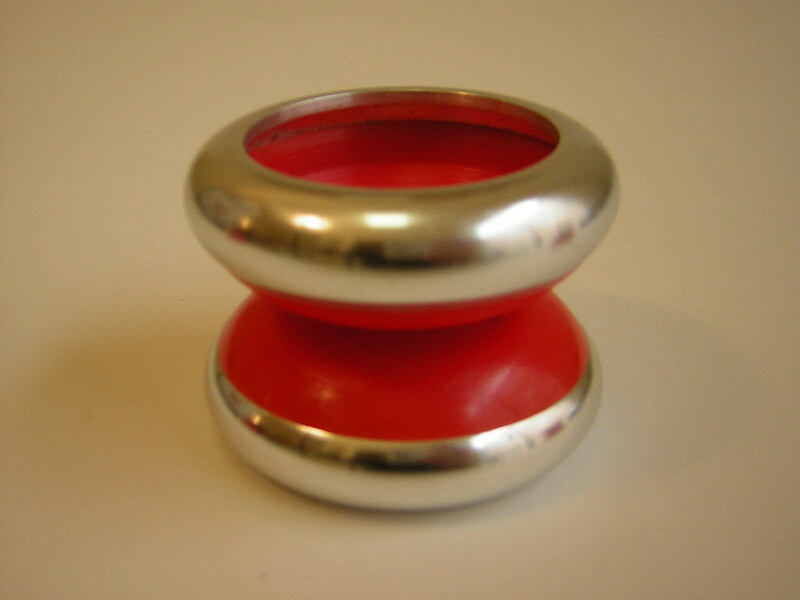 Both of Poyzer’s mods feature IRS (interchangable response) rings, which is like a starburst insert for o-ring yo-yos. The Bolt on the right is similar to the Doctor’d Bolts I sell on my site, but my buddy Nick tweaked it a little more on the inside with shmoove rings. This Bolt is one of my two top yo-yos in my arsenal. Check out the pictures on the bottom for close ups.